A few weeks ago we debuted the CC on it’s new set of rollers for the Import Face Off event with Team Menace. After an early morning rendezvous with the crew at a Starbucks in Kent we rolled out to nearby Pacific Raceways to join the many car show participants who were waiting to be let in. Once we set up the team booth and gave the cars a quick wipe-down we were in business, that is to say we had the chairs set up in the shade and we were ready to relax. Woodie brought out his Maxima sportin’ new shoes, too – a set of Avante Garde F410s. It was a long, hot day and motivation to venture far from the shade was lacking but one particular car on the opposite side of the tarmac caught our attention, enough to dig out the camera and get up close and personal. 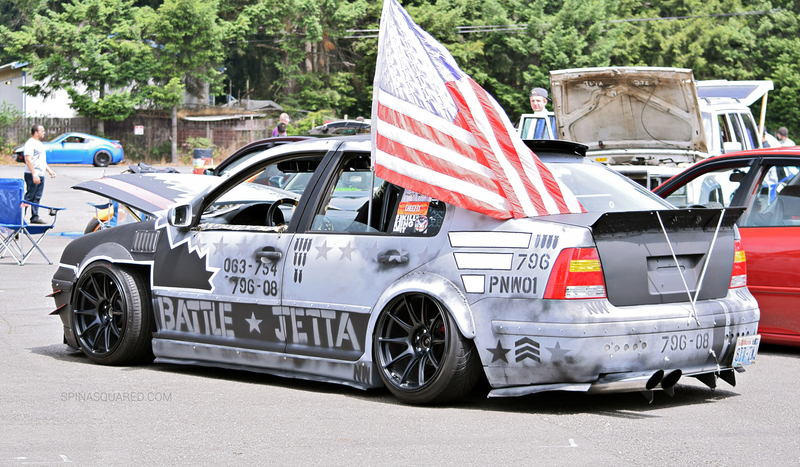 Jason’s VIP style inspired Camry on Avante Garde F431s is on point and he took home the Best Toyota award. Our way of displaying what we’ve done with the car for show participants. Give that QR code a scan the next time you see us at a show! A few more from the short walk beyond the team tent. The team brought home more hardware at the end of the day with awards for Best Honda, Best Exotic, Best Bike, Best FRS/BRZ, Best VIP, Best Display, Best Club Representation, and Cleanest Car. These guys bring their A game to every show and it’s been quite the experience as we’ve joined along for the ride. Now, if we could only keep up!